Fundraisers Sam Jones, Robin Legge along with volunteers Naomi Chaning-Pearce and Kate Fowles all represented Jigsaw on the day and were blown away by the passion and commitment shown by everyone who took part. Local MP Jeremy Quinn and Chairman of Horsham District Council Peter Burgess helped get the event started and from then on it was a frantic 5 hours of swimming. In total 4,320 lengths were swum – an 8 year record! Jigsaw would like thank everyone who took part and everyone who supported them. 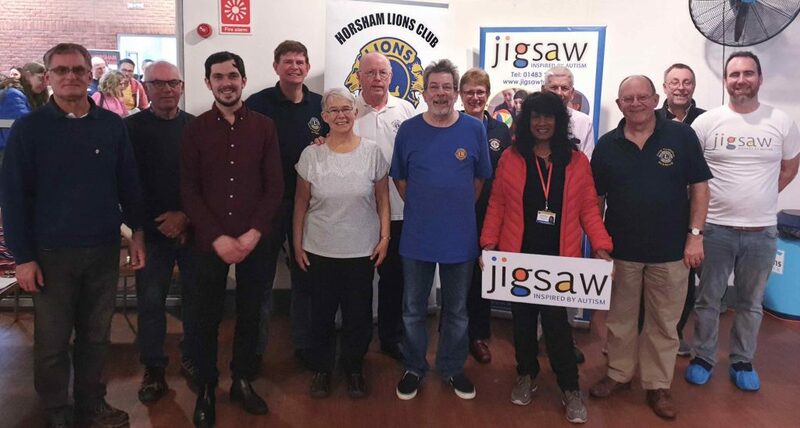 Over £12,000 has been pledged in sponsorship (50% goes to each team’s chosen charity and 50% to Horsham Lions who will then pass on the profits to Jigsaw Trust), which again is a record and an incredible achievement. Jigsaw would also like to thank everyone at the Horsham Lions Club. This year’s Swimarathon was a testament to how popular and well organised this event is and Horsham is lucky to have such a committed and altruistic Club on it’s doorstep.